You're so on it Beth. I wonder about this too - cause fatigue. I know that for some projects - even with access to automatic/web 2.0 tools, even with access to powerful/wonderful networks - can only scale so much. A person (or group of persons) still needs to operate it. Working in concert with other orgs/networks/people that *already* do ONE thing well is crucial - like how staff within an org operate (Executive Director, Development Director, Grant Writer, Marketing, etc.) You still "...need staff, you need operational resources, you need to have all your business systems in place." I think scaling *back* is on way to address this issue. Take time to meditate on what's important. Breathe. From a social change perspective, lots of people are asking the same questions: 'can we continue to have our cause noticed/supported online with all the other stuff that's out there?' But this has been a historical problem for all types of campaigns - fundraising, marketing, political, environmental... - the campaign is rarely more than a 'blip' on the outside world's radar, and it has always had to compete (online or offline) with EVERYTHING else that bombards potential supporters/donors everyday. So just as the charity billboard or TV ad has always had to compete against designer clothing, dish soap and new music, so to must the e-campaign compete against the pop-up ads, the mindless Facebook quizes, and the inbox messages from our virtual and real world friends. As the digital terrain is still a relatively newer forum for most NGOs, some of us experienced a rare period where there were more consumers online, than there were attempts at those consumers' time; in other words, it was a relatively open field to make our pitch... but that's changed, just as certain parts of the 'real world' have become more and more saturated with information. So what do we do? Same thing we've always done - get more creative and innovative! It's never been easy as a campaigner to raise your voice above the racket of never-ending noise that inhabits public space. Keep Tweeting, keep Faceboooking, keep emailing - but don't just assume that the value of your cause will 'sell' your audience. Try something new - do something differently - on the free market of ideas, clever thoughts can still cut through all the noise in the world! ...and [cheeky pitch!] one thing that might help would be this totally free campaigning website I've been involved with that will be launching in October - Louder.org.uk ... we are still looking for beta testers, so do get in touch (through the site) if you're interested in finding out more! There is absolutely a challenge for organizations looking to break through and use social media to engage audiences and address serious issues and causes. Over-saturation by group is definitely a factor. 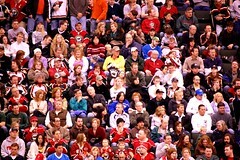 Audience fatigue, which is not often considered, is also important to understand. The challenge to getting people to become more involved in an organizations' efforts, whether as advocates or donors, or even just interested onlookers, depends more - I think - on the user and meeting their expectations, then on the strategy of the organization conducting the effort. With that, I want to add a couple of thoughts to your excellent post (above) about cause fatigue and the challenges for nonprofits. 1) More than movements. Realistically, if organizations want to have real, meaningful, measurable impact on the issue(s) that they are designed to support - hunger, the environment, education, whatever - they are going to have to do more than create a movement to support their work. People want to see real change. They want to feel like they are involved in something that is having an impact. And they want to know that the investment they make, in time or treasure, is worthwhile. That feeling has no time limits. We have known for a while that launching a campaign wasn't enough - its a good way to raise awareness and attention for an issue, but when the campaign ends, the momentum fades. Movements are designed to go further, do more to sustain people's interest and participation, and of course drive greater impact. But in the vernacular of organizing, especially online, I'm increasingly concerned that the word 'movement' has simply replaced the word 'campaign.' Everybody wants to start a movement now, and understand how to use technology, and social media, to make that happen. But few are willing to embrace the huge organization and institutional commitments necessary to create and sustain a movement. The term is being co-opted, the level of excitement and commitment towards creating movements is growing, but we are still running in place in terms of truly shifting how causes are addressed and most nonprofits use the web. The holy grail of organizing, offline and now online too, is the ability to create sustainable shifts in behavior. Getting people to do something once or twice is critically important, and no small task in its own right, but it still just one of the very early steps towards real impact. To make people healthier, or to significantly reduce their carbon footprint, or to transform communities, or to dramatically improve schools or really anything of significant size requires a commitment that is operationalized day after day after day after day. Its not enough for the numbers to improve for a month or a year, only to have people fall off the wagon and go back to their old behaviors when the pressure on them lets up. Its not enough for an organization to reach its goals and then move on to other projects, leaving society to fend for itself. Some organizations, like the American Heart Association and Feeding America (note: a client) are starting to think that way, while also realizing the longer-term approach is much more complicated than just maintaining effort for a longer period of time. Behavior change can be generational, or glacial. Within organizations that might mean new leadership emerges, not by coup but naturally over time, so that a new perspective and capacity just evolves internally. You want a different donor base, you may have to wait for the old donor base to disappear, or for the organization to re-organize and re-present itself so that new and different audiences find it compelling and relevant. For communities, that change occurs as houses change ownership over time and kids grow up, as the fabric of the neighborhoods change and priorities of local officials adapt. Those changes are happening faster today, because of the influence of technology and the internet, the level of awareness and particiation from people at the grassroots level in issues where they were never involved before. But, you don't see the long-term commitment by organizations in most cases. You don't see the organizations changing their mission, their focus, their staffing, and their tactics (not to mention their technology) to reflect the changing times. Many either focus on their operational needs (which I have ranted about before, as you know), which sometimes obscures the larger focus, or simply add new discrete projects around a particular issue or opportunity -- failing to coordinate their thinking or look at how all the pieces fit together and create real change. 2) A reset: I like to talk about a reset, a total re-thinking and re-structuring of how our organizations operate, where they focus, the efforts they pursue, and how they support them. Nothing is sacred. Everything has to be revised, from business models and organizational structures to the audience(s) that are being served and the tools, messaging, and support a group provides. That begins with a shift in focus, away from campaigns (and even movements) and towards a focus on long-term, sustainable, shifts in behavior - if you have a whole new, different challenge, the natural response is to come up with a whole new, different way to address that challenge. But it also includes a greater commitment to collaboration between groups, and coordination across the sector. There are simply too many groups competing for attention and resources, trying to figure out the answers to complex questions on their own. Similarly, there are too many consultants offering tools and advice that doesn't do anything but serve one group's interests, when the larger community and society is what needs the attention and support. We need to more thoughtfully and fully engage the audience/community in the process of re-thinking the approach, the structure, and similar. I would also suggest a new role, for experts and advocates, people who aren't connected to one group or carrying water for one form of communication or platform, to help address the broad changes that need to occur, to help the individual groups to adapt their focus, and similar. And the media, the way it operates, what it covers, and the role that we - as organizers and advocates - expect it to play must all be transformed. Everything is in play, everything needs to change, and I am under no illusions that these changes will happen naturally, without help, or soon. 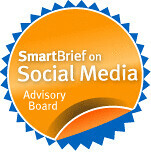 But rather than think about a different strategy for using social media to tackle an issue, I suggest we look at how the concept of social has revolutionized and changed our whole society, what that means to the strategies nonprofits and causes must pursue, and then look back at what we can do to use the tools different and more appropriately to meet our goals. There's little doubt that everyone faces a crowded road online, including education. It really is becoming a global village or one giant bazaar. I think that means that personal relationships will matter the most and of course that will mean more time spent in engaging the customer/student/donor on their terms. Having grown up in a small town and now back living in one of the same size, I find that small town culture is like life online. We all live in the same fishbowl and know what our neighbours are doing. We also have to be civil to everyone and wind up getting involved in many volunteer activities, because that's just expected. It also means we have deal with small town politics. I have a ton of thought on this. I really want to share them and even go into how my new non profit LIGHTS. CAMERA. HELP. is covering all this but I can't because it's all coming out in my chapter in Ted Hart's new book on People to People Fundraising. I know you are writing a chapter as well. As soon as it's out it's open doors to all your readers. I think these are great questions to ask. And I did write a detailed response to this blog post on my online fundraising blog here. My personal view is that "overcrowding" would be a BIG problem if you wanted to use social networks for the purpose of maximizing the number of eyeballs on your message, rather than as a means of strengthening old relationships and creating new relationships with supporters. This type of engagement can begin merely by waiting for someone to self-identify as one of your top-tier supporters by making an online donation of any size on your institution's web site. After they have done this, you can ask them to share their support with their friends and family, and, depending on their comfort level with online media, they can set fundraising goals on your behalf and reach them by marketing to their friends and family. This type of content advertising will always have an advantage over paid advertising in the same medium. I always try to avoid using the examples of celebrities like Facebook Exec Dave Morin and Mashable founder Pete Cashmore, who get attention for quickly driving hundreds of thousands of dollars towards nonprofits using social media. The way they use Twitter will always look different from the way most people use Twitter. But when correctly used, social media tools don't require borrowed interest from a celebrity to be successful. Just like the way you don't need Bill Gates to be a prospect for your capital campaign in order to be successful (or if you do, you should re-evaluate your campaign's feasibility), you shouldn't have a social media strategy that requires starpower to hit its benchmarks. As I said, I think this is a great conversation to have, and I do go into more detail on my blog at www.willmarlow.wordpress.com. Hi Beth, you asked how my thoughts on Cause Fatigue have evolved over the past few months... With the ever-expanding collection of do-gooder sites and do-gooder actions, it seems to me that MATCHING and MIGRATION are the next challenges facing social media. Sharing information through people's networks is a great way to outreach to people with shared affinity but more often it leads to courtesy support rather than vested support. If a referral from a friend is more like a favor than a recommendation, then how does an organization convert or migrate favors to fans? Perhaps instead of relying on network referrals, reaching out directly to build targeted connections online (not unlike the old-fashioned targeted direct mail lists) should be a focus? It always comes back to how people make donation and volunteer decisions, usually "feelings, not analytical thinking, drive donations." PDF http://knowledge.wharton.upenn.edu/createpdf.cfm?articleid=1767 Which means Guidestar and the like are fine but don't drive the decision process. So being in the right "emotional" places to make that personal connection remains key. How then, to be in the right place? @tactphil's Sean Stannard Stockton had a related post on information overload and filtering a while back - http://tacticalphilanthropy.com/2009/02/information-filtering However, this isn't just about information overload, it is about time overload. People don't have the time to review all the opportunities and organizations. So can you find the people who filter for specific community? Can more or better filters be made? I'm thinking about the long tail here. I think successful online social media is about finding your niche and building a very targeted presence there. Without better filters and tools, how can people quickly find worthy orgs that match their interests, region, and volunteer capacity? "Use new media to encourage small acts of engagement. Small acts of engagement lay the groundwork for relationship building and larger tasks in the future." "Use social media to facilitate in-person grassroots activities, not to substitute for them." Couldn't agree more. And IMHO those are key to remaining or becoming effective in your social media strategy. As usual, you've hit on an anxiety point for many of us, and created a forum for discussion - thanks. I'm intrigued by the thoughtful comments already posted, and really find Jill's to be most helpful. What intrigues me is that most of the comments are from observers to the dynamics, not practitioners who are struggling with how to maneuver in the current environment. Having said that, I personally remain in a somewhat "wait and see" posture, vis-a-vis the long term fundraising value/stickiness of social networks like Twitter. We at GlobalGiving have a fairly active and robust Twitter presence and following, but continue to view social media as ONE important aspect of our outreach strategy. Some tools are now the price of entry (e.g., social bookmarking/share tools) for having an effective online strategy. One aspect of the phenomenon that I think will make or break the actual ROI of these tools is a longer term look at the lifetime value of a donor - e.g., retention rate and average donation over time. What percentage of the people who make "blink" decisions to support something via a social media campaign because their friend asked or it was easy actually CARE about the underlying cause? How likely will they be to support that same cause again? Or to support it through the same platform? Or to support it at increasing dollar amounts? The cost of initial acquisition may be much lower by using these tools, but as any business (including fundraising) knows, its the lifetime value that makes or breaks the strategy. This is something we continue to balance at GG. Would love to hear others' thoughts. As an aside, I am constantly amazed at the continuing number of new entrants who are investing precious resources to build yet another "social network for good" with a slightly different twist when there are so many successful platforms and tools already out there. Would love to see you do a post on this issue. I think that concerns from organizations about scaling social media are based on old mental models. People may say that they don't have the time, but in many ways online networks are easier to manage than F2F interactions. People don't have to be in the same room at the same time, and no one worries about bringing coffee and donuts. For instance, last year we ran an online workshop at http://workliteracy.ning.com/ There were only 3, part-time, volunteer facilitators and we had over 700 participants. With the open structure of the course, many of the more active and experienced participants became facilitators, guides and helpers. Scaling was never an issue because we never tried to control the community. The same thing applies to non-profits. Give community members the tools to help grow your online community garden. Craigslist and Wikipedia are two examples of large scale web communities that have a very small core team. They leave much up to the community members. The key is in designing an architecture that allows this kind of growth with only a gentle hand as a guide. - We're really excited about the mention of the new charity: water website coming soon and can't wait to see it! Making it easy for people to give to a cause by integrating charitable actions into the activities, routines, and habits of daily life is brilliant. It's a small step up the ladder of engagement and won't necessarily lead to true education about an issue, but that marginal increase in awareness has a lot of potential for deeper levels of engagement. A few staff members here just started experimenting with Birthday Wishes on Causes and were shocked at how easy it was for each of them to raise $200 from their networks without really lifting a finger. Your posts on Birthday Wishes definitely helped give us the courage & a blueprint to dive in. Personally, I'm interested in lifestyle channels for retail fundraising, mobile activism, and gaming applications and am starting to see real creativity & innovation on all these fronts. - There was one hypothesis made in the CNET article that I found curious: "At best, donations could be spread too thin, rendering many organizations less effective." It could just be a matter of word choice, but I felt this was a bit of a leap. If fundraising is the only measure of what makes an NGO effective, then I worry about what the real value proposition is of organizations soliciting donations. We are seeing a real movement behind social enterprise & social entrepreneurship due to the sector's embrace of transparency and accountability. What determines success, failure, and impact has much more to do with how NGOs are ensuring the sustainability & scalability of their programs, grantees, or investees. Again, I think it was just a matter of wording and taking an excerpt slightly out of context. We certainly can't achieve any of these things without sufficient capital, but effectiveness is a measure of so many more variables. - "If one tweet after another is seeking donations, people might just get fed up." - This is absolutely true and the reason why we must lead with a value proposition that is transparent, and clearly articulates how impact and long-term sustainability will be achieved. At the end of the day, organizations have to earn the right to ask. They must ask "Have we provided enough value, and demonstrated enough proof behind our model or concept to ask people to give?" One of the biggest reasons Acumen Fund and most peers of ours are using social media is because it has the best tools for building & leveraging communities offline, in the real world, where we can cultivate and engage more passive followers. - "...their biggest problem now is scale...You need staff, you need operational resources, you need to have all your business systems in place..." - I think this was a really interesting and insightful observation by Toby (thanks again Toby for the great evening at the Paley Center with Jacqueline!). I'm not sure that charity: water's biggest challenge is scale, as it is demonstrating impact and long-term sustainability. There is no shortage of people in this world who have an appetite for helping provide safe drinking water to those without it. And as long as charity: water remains brilliant at marketing and communications, if they can demonstrate impact and sustainability of their solutions, there will be no shortage of brilliant, talented, well-connected, well-resourced individuals who will line up to help them raise an infinite source of capital. I don't think we can underestimate the power of volunteerism in providing the resources and business systems that a non-profit needs. As long as you have the proper infrastructure to support your community of proselytizers, scale becomes relative. - Yes! Movement building is all about relationship building techniques as you mentioned in your reflections. Social media offers some great tools, but the rules for relationship building don't change. The challenge is creating a high touch experience online as well as off. - I think your and Jill Finlayson's previous ideas on "thought leadership" are also key in rising above the noise and clutter. Orgs must establish themselves as a trusted source. And we have to remember, one of the things that makes Twitter, Facebook, and social media great is that it's easy to opt-in and opt-out. The power really is with the people, so things only have to be as noisy as you want them to be or have tolerance for. - I'm going to sound like a broken record here but to address cause fatigue, orgs must demonstrate impact and long-term sustainability. Our challenge at Acumen Fund is making the concept of Patient Capital one that is generally accepted as an effective way of fighting poverty. Unfortunately, patience and complexity aren't the sexiest or most marketable ideas. But, we feel that people are beginning to wake up to the fact that there are no silver bullets and that complex problems require complex solutions that don't happen overnight. This doesn't mean operating without a sense of urgency, but instead eliminating unproductive dogma and polarization. Thanks for letting me take up so much space! Beth, I just springboarded off this article and Brian Reich's comments to write a post about whether all of those 'urgent'act/now cause alerts are contributing to 'cause fatigue' in social media time sinks among busy parents.